Is it possible to reset a locked iPhone? If your iPhone is blocked or disabled maybe because of typing the wrong passcode, it is possible to reset it. You can reset the blocked iPhone using iTunes and restore it to normal. While using the iTunes, you can also make a backup copy for your data. You can also use the iCloud to reset the iPhone and backup your data. 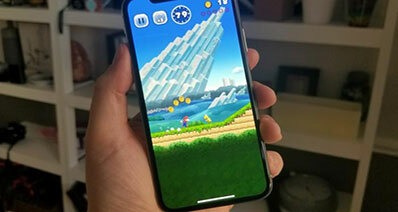 It is also easier to reset your blocked iPhone by using the computer that you had synchronized it. You can also use apps and software to reset a blocked iPhone. Read this article to learn more. iTunes provide a simple way in which you can reset a locked iPhone. It has simple steps that are easier to follow and within few seconds, you can reset your iPhone and reset the passcode. Below are steps that you should follow while using iTunes to reset your device. Before using the iTunes to reset a locked iPhone, it is advisable to use the latest version of iTunes. Step 1. You should switch off your iPhone. You can do this easily by pressing the power button until the device goes off. Step 2. 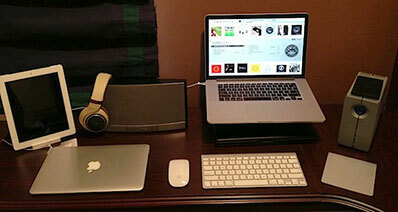 After that, you should connect the USB cable to your computer and then launch the iTunes. Step 3. Then hold the home bottom. Continue holding as you connect iPhone to a computer your using the USB cable. Step 4. While you continue holding the Home button, the screen of your iPhone will be on and it will show the iTunes logo and USB cable. Step 5. In the iTunes, an alert box will open telling you that a device has been detected in the restore mode. At this point, you should now let release the home button. Step 6. Click "Restore and Update" option in iTunes. 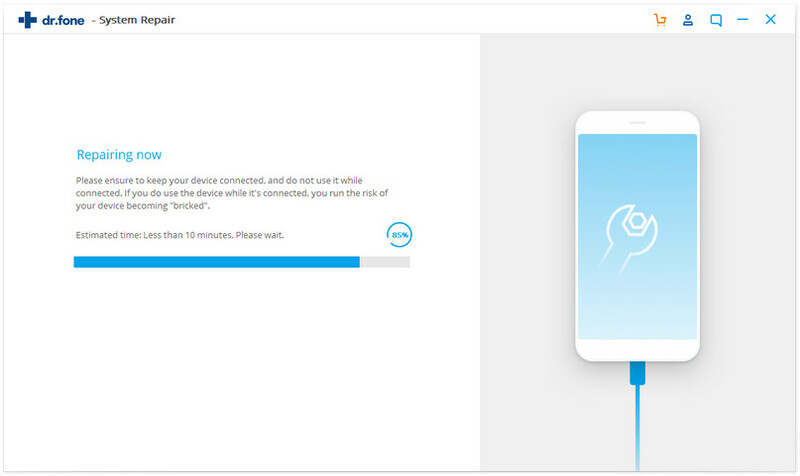 If your device finds a location of a local firmware, then it will be restored immediately and if not so, the appropriate firmware will be downloaded to your device. Step 7. Wait until the restore process is done and your device will be booted as if it is a new brand. Once the reboot is complete, you can use your device as a brand new or you can begin a recovery from a backup. A backup is important in restoring important personal data such as SMS, photos, contacts etc. Remember this method results to loss of data on your iPhone. 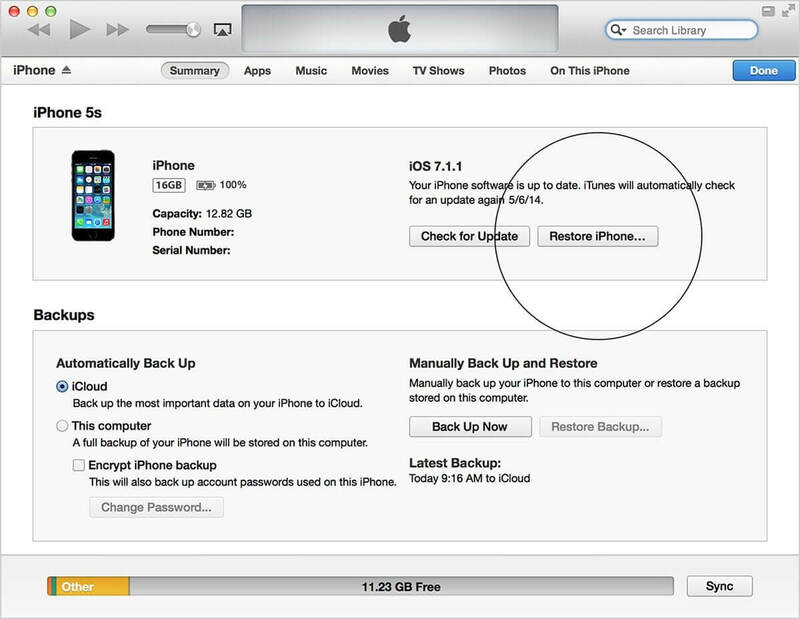 Resetting a locked using iTunes leads to complete loss of data on your iPhone. Therefore, if you had not done a backup of files you will be in a total mess. To avoid losing data you need to rest your iPhone using a safe iOS system recovery software. iSkysoft Toolbox - iOS System Recovery offers the best tool that you can utilize to reset your blocked iPhone without any data loss. 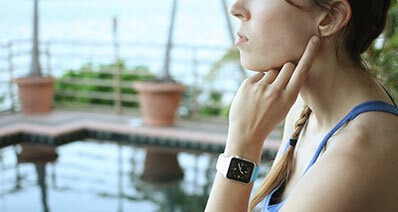 It is compatible with iOS devices and it supports both Mac and Windows operating systems. 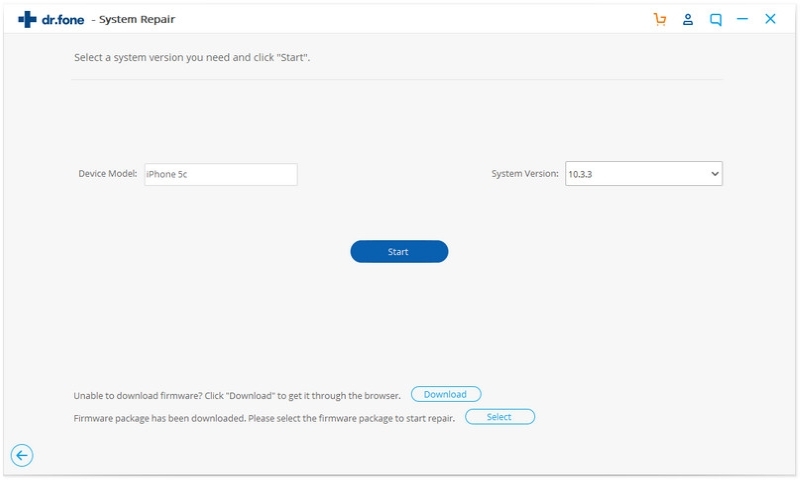 You can use iSkysoft Toolbox to repair the operating system of your device. 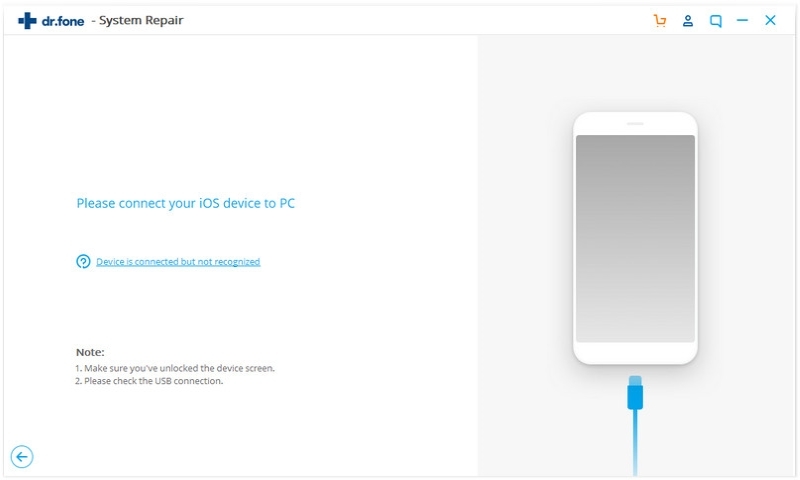 The software has a tool known as "iOS System Recovery" which is essential in repairing any iOS device when stuck in White Apple logo, black, red, blue screen, when stuck on DFU and recovery mode. It is compatible with iPhone X/8/8 Plus/ 7/7 Plus/SE/6s (Plus)/6 (Plus)/5s/5c/5/4s/4/3GS, iPad Pro/Air/mini and iPod touch. The tool is 100% safe that you can fix your iOS devices to normal withour data loss. Launch the program and then use a USB cable to connect your iPhone to your computer. After the program detects your iPhone, you can then tap "System Recovery" menu after that, and then select the "Start" located at the middle-left of your window. 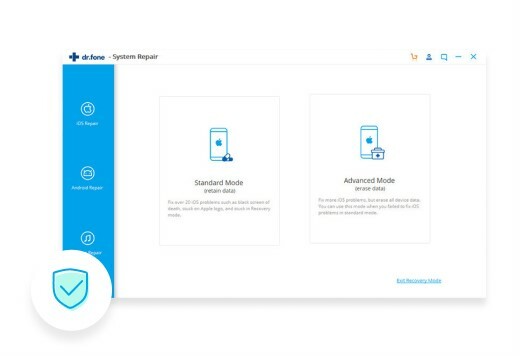 The iSkysoft Toolbox - iOS System Recovery will display the newest firmware that is supported by your device. To download the firmware, just hit the "Download" button. Once the program completes downloading the latest firmware, the firmware will automatically start repairing your iPhone and once the process is complete, your device will restart and start operating normally. What's more, you can get more tips on how to reset iPhone on this page.